More than one thousand Inner Line Permit (ILP) violators and ‘illegal immigrants’ were drove out in Arunachal Pradesh by the activists of the All Arunachal Pradesh Students’ Union (AAPSU). 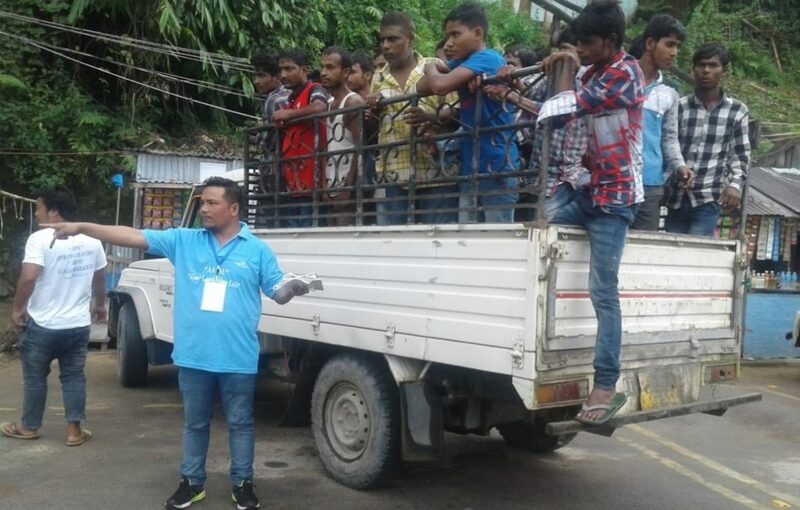 The AAPSU on Friday launched a state-wide “Operation Clean Drive” (OCD), an initiative which aims at evicting ‘illegal migrants’ from the State. “During the OCD carried out on Friday, the AAPSU with the help police drove out more than one thousand ILP violators from the Capital Complex,” OCD chairman Tatung Taga told reporters here. “The district student unions of the State have also carried the drive in their respective districts and they shall submit their reports within this week. The drive shall continue with its movement from tomorrow,” he said. In the wake of neighbouring state Assam publishing its final draft of the National Register of Citizens (NRC) on 30 July, the AAPSU had on August 1 set a 15-day deadline for illegal immigrants to leave the state. The drive of the AAPSU has also received support from the All Assam Students’ Union (AASU) and North East Students’ Organization (NESO). Meanwhile, the AAPSU which has expressed satisfaction over the successful conduct of the drive on Friday has thanked the government, the police department, district administration, market welfare societies, community based organizations, district student unions and all its well-wishers for supporting the movement.